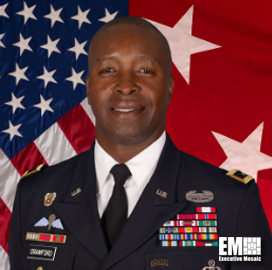 Lt. Gen. Bruce Crawford, chief information officer of the U.S. Army, said the service will continue to focus on cloud migration, workforce development and data security in its information technology modernization efforts in 2019, C4ISRNet reported Sunday. The Air Force has been updating its tactical network over the past 18 months, according to the CIO. Crawford said this year’s IT modernization efforts will include identity and access management to protect military data, increasing mobility of soldiers, increasing resiliency of apps from industry, leveraging artificial intelligence and machine learning and reducing data centers. The official noted the Army plans to expand access and survivability of data for soldiers to coordinate anywhere in the field. The service branch also wants to work with industry partners to achieve total asset visibility, reduce the number of tools used by soldiers, cut enterprise license agreements and expand cybersecurity. Crawford hopes to explore talent across industry to help the Army in its modernization efforts through 2020s.